Jan Hus Day in the Czech Republic is always on July 6th each year and celebrates his role and martyrdom in the Protestant movement during the sixteenth century. People will spend time with family and friends and many will reflect and have prayer in remembrance of Jan Hus contribution to the Protestant movement. 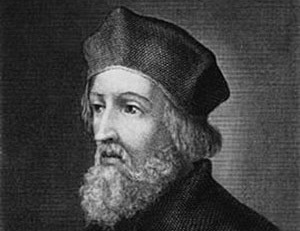 Jan Hus believed in the changes that were occurring in the Catholic Church during his life and lead the protestant movement of the sixteenth century. In 1412 he was excommunicated from the Church and later in July 6, 1415 he was burned at the stake for heresy against the doctrines of the Catholic Church.